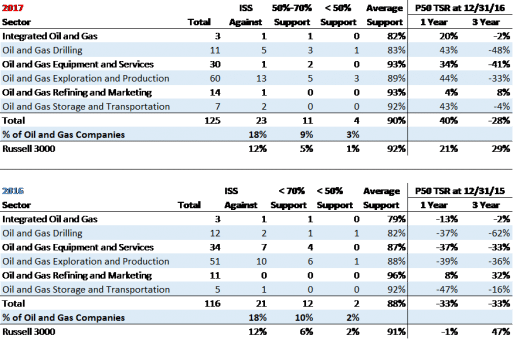 ISS recommended against 18% of oil and gas companies vs. 12% for the entire Russell 3000, and 3% of oil and gas companies failed Say on Pay (i.e., <50% support) compared to only 1% in the Russell 3000. ISS recommended “against” oil and gas companies’ Say on Pay proposals at a similar rate as 2016. Results to date for 2017 vary by segment, as shown in the table below. 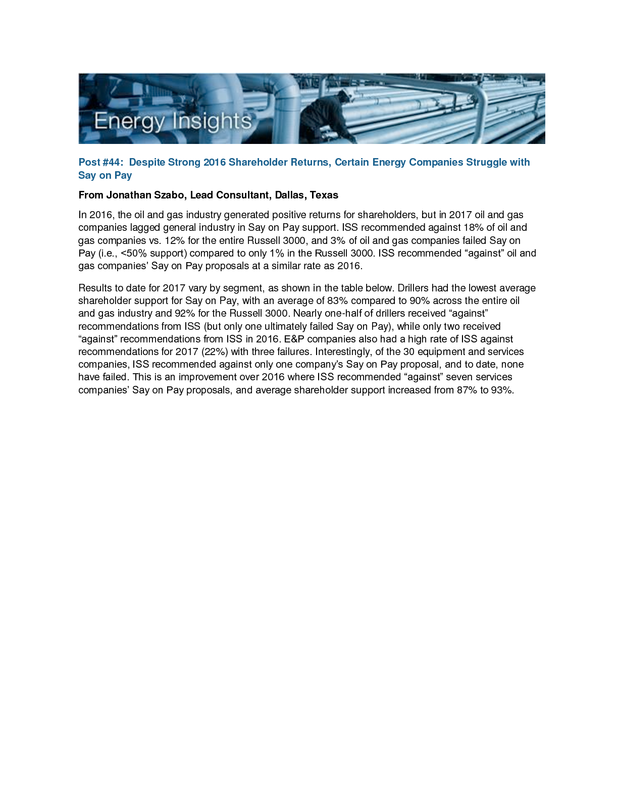 Drillers had the lowest average shareholder support for Say on Pay, with an average of 83% compared to 90% across the entire oil and gas industry and 92% for the Russell 3000. Nearly one-half of drillers received “against” recommendations from ISS (but only one ultimately failed Say on Pay), while only two received “against” recommendations from ISS in 2016. E&P companies also had a high rate of ISS against recommendations for 2017 (22%) with three failures. Interestingly, of the 30 equipment and services companies, ISS recommended against only one company’s Say on Pay proposal, and to date, none have failed. This is an improvement over 2016 where ISS recommended “against” seven services companies’ Say on Pay proposals, and average shareholder support increased from 87% to 93%. Shareholders and proxy advisors’ perception of pay and performance alignment likely contributed to these 2017 outcomes. For example, most companies that received “against” Say on Pay vote recommendations from ISS also had “high concern” scores on ISS’s pay for performance tests. Where ISS found “high concern” on pay for performance tests, they also then highlighted reasons contributing to the high concern along with other practices to which ISS often objects (e.g., paying above target bonuses when goals were lower than prior year, large discretionary bonuses or increasing CEO pay when stock prices have declined for multiple years). ■ Many E&P companies paid bonuses well above target for this past fiscal year’s performance (on average, just over 130% of target), but reduced 2016 LTI grant values. Despite strong TSR for 2016 (+44% at median), median 3-year TSR was -21% through the end of 2016. ■ Drillers, which are still experiencing depressed utilization, revenues and stock prices, averaged bonus payouts near target levels (specifically 97% of target on average). Drillers’ TSR was also the hardest hit of the various oil and gas sectors, with median 3-year TSR at -48% to close 2016 despite median 1-year TSR of +43%. Those that received “against” recommendations from ISS tended to have “high concern” levels on ISS’s pay for performance tests and other practices that ISS and shareholders often dislike (e.g., historically low Say on Pay outcomes without sufficient committee response, retention awards, discretionary bonuses). 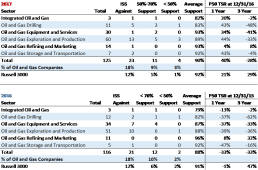 ■ Meanwhile, many equipment and services companies paid bonuses well below target (38% of target on average, including 11 that paid zero bonuses), helping to keep pay aligned with their depressed performance; median 3-year TSR through 2016 was -34%. It is important to note that there are unique circumstances specific to each sector. For example, many E&P companies set bonus goals based on production growth and expense reduction, and were successful at achieving these goals over the past year. 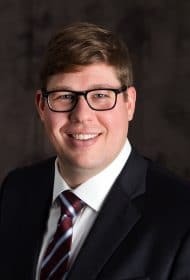 The expense reduction among E&Ps is felt by the oilfield services companies, thus keeping this sector in decline and resulting in lower bonus payouts that are often based on revenues, earnings or cash flow performance. So far in 2017, the performance story is off to a rough start with stock prices down across the industry (by approximately -40% for drillers, -25% for equipment and services and -30% for E&Ps at the time of this analysis). If this trend continues, and with the LTI grants already set (and likely made with consideration of strong 2016 TSR), expect shareholders and proxy advisors to watch closely how compensation committees use bonus payouts to align pay and performance at the end of the year.